Never forget to bill for time or expenses again. An accurate view of a cases finances is always available. Manage retainers and budget remaining. View a complete history of a case budget for audits and verification. 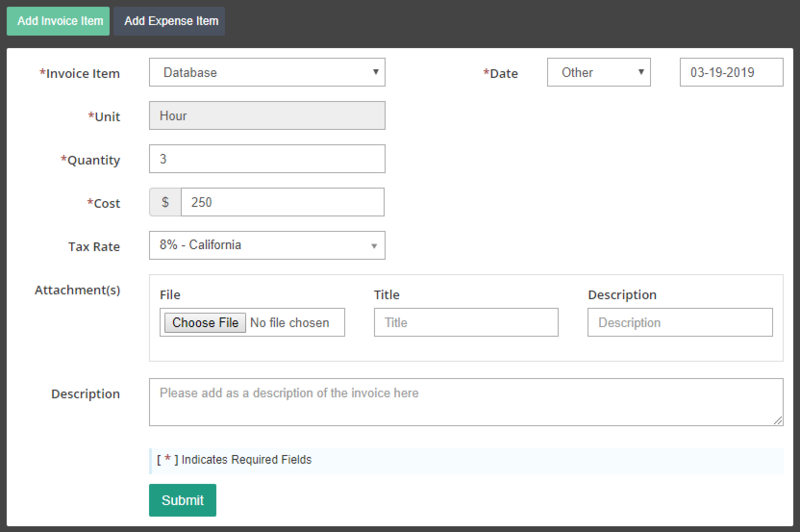 Generate invoices and email to a client. 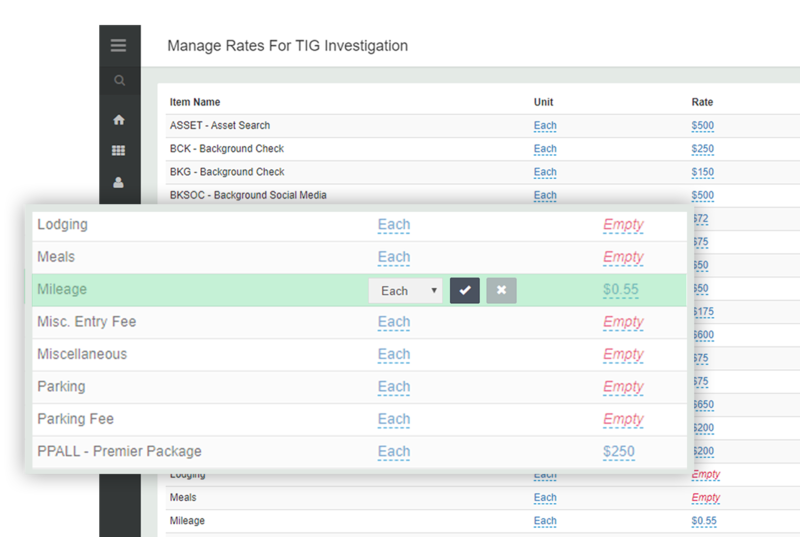 Run a report that shows investigator’s time and expense amounts. Take the stress and time drain out of billing. If you charge standard rates or if you bill different rates for different clients, CROSStrax has you covered. Enter the rates in a client’s profile, and CROSStrax handles the rest – never wonder if the amount you charged was correct. Choose a personalized template with your logo, company information and payment instructions! We’ve made invoicing a breeze by adding professionally designed templates to get paid for ALL serviced provided. The system automatically totals the invoice line items based on the rates entered within a client’s profile. Add customized content such as a license number or tag line.